Pizza is sort of a touchy subject with me lately. 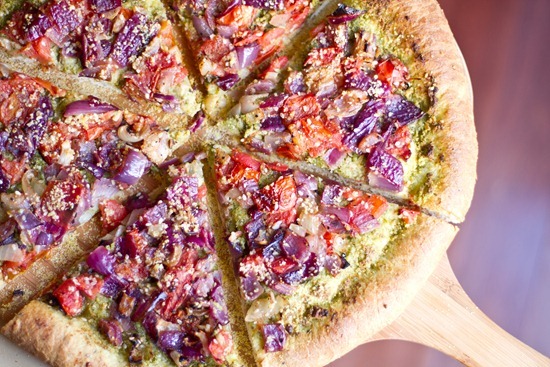 Ordering a vegan pizza at a restaurant can prove to be a bit interesting at times. Chefs come to the table and try to sweet talk me, pleading with their delicious Italian accent for just a sprinkle of cheese. One time, a chef flat out refused to make his pie without cheese, throwing his hands up in dismay and washing himself clean of impure, cheeseless thoughts. And this is how a Pizza Complex develops. When I found out that the next Project Food Blog challenge was to put a unique spin on pizza, I was scared. I wanted to run away and never look back. Bye bye, Foodbuzz, it has truly been a slice. 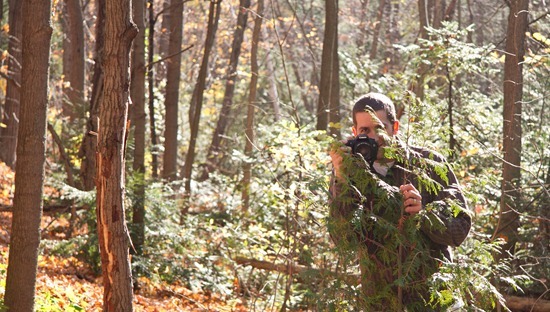 And then I screamed like a baby after seeing a creepy man in the bushes with a camera. Wait. Is that my husband? For instructions, start to finish, see the attached PDF. 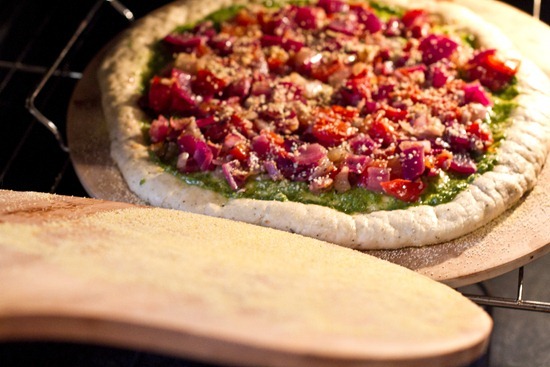 The dough, cheese, and pesto can be made ahead. 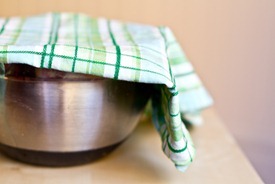 I’ve had a few traumatic pizza dough flops in the past. 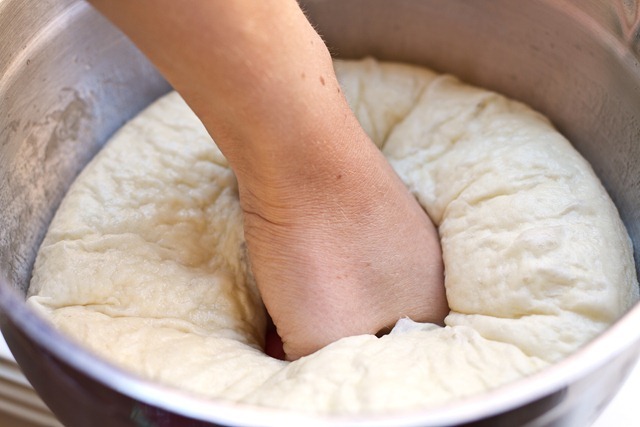 Making pizza dough that turns into a tough ball of gluten is not something one forgets easily. 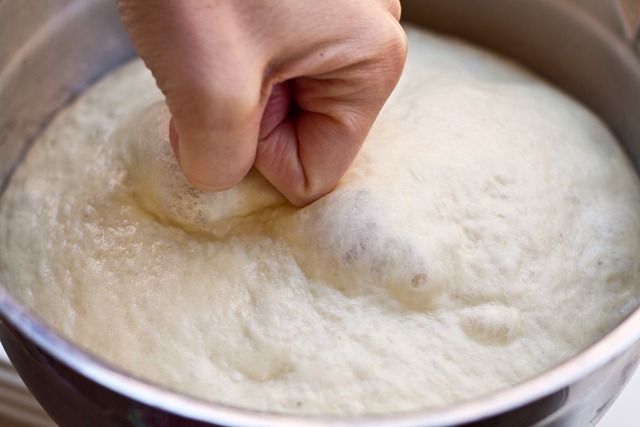 It haunts you in your sleep until you convince yourself that you can actually live a fairly happy life without ever trying to make pizza dough again. That is, until this challenge threw me for a loop. 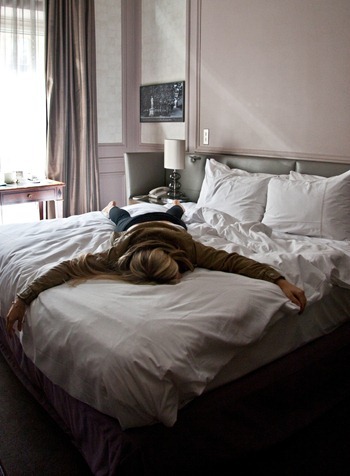 For 6 hours on Friday night I was a student again. 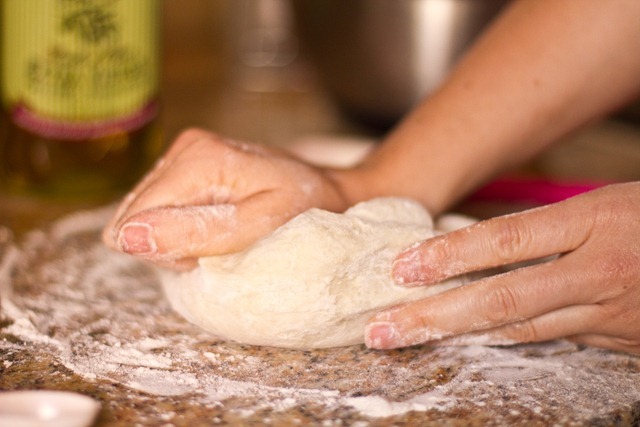 I studied, I practiced, and I vowed to become a Master of Pizza Dough. It turns out making pizza dough is incredibly easy, but my glowing pride was no less. I can also tell you that cocoa powder, chili powder, or nutritional yeast infused pizza dough all taste horrible. Bad, bad things happened. I would not be here today without my You Tube Pizza Mentor, Albert. Also, to the red wine for making the 10 dough trials seem like I was at an all night rave. 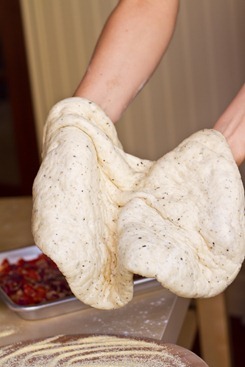 I tested 5 different pizza dough recipes and the one that worked best for me involved no fancy machine or special dough hooks, just some old-fashioned elbow grease! Kneading the dough was hypnotic and calming as I tested batch, after batch. 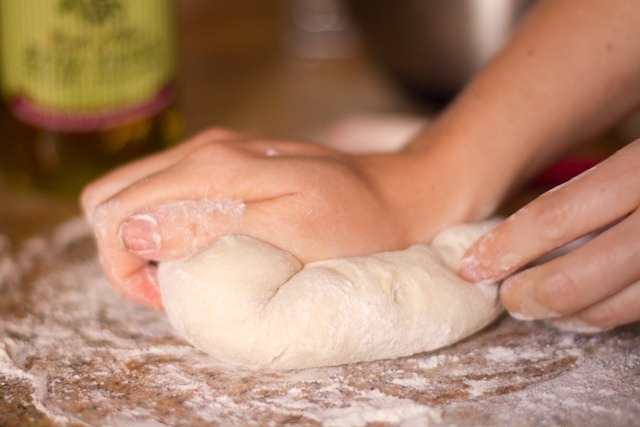 With each trial, I felt a bit more comfortable with the dough and it actually became fun! When the dough is ready it will be soft, smooth, and no longer tacky to touch. Now, make the sauce and toppings. 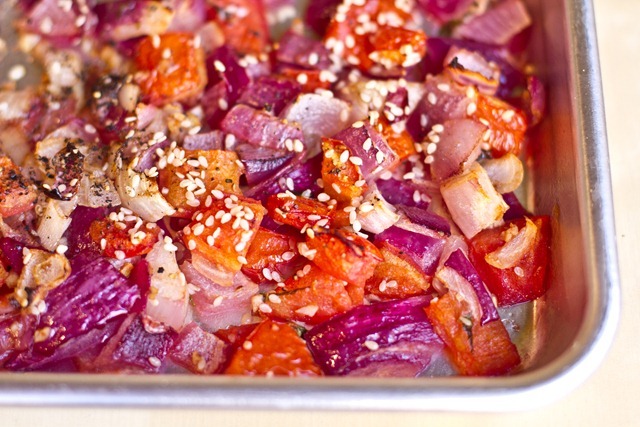 I had some CSA tomatoes, onion, garlic, and basil to use up and I figured they would work well together. 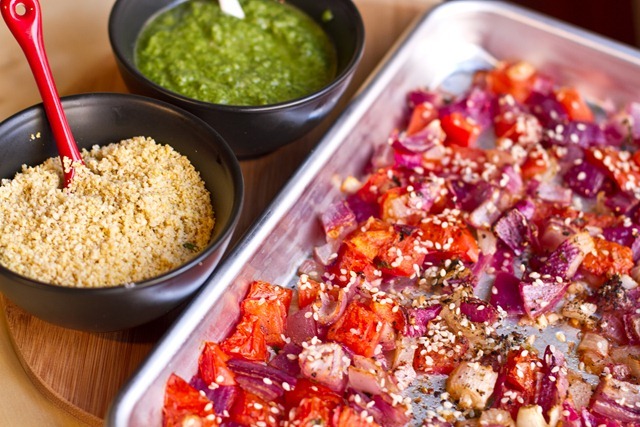 Coat the chopped veggies with a homemade olive oil sauce and roast for about 35-40 minutes at 400F. 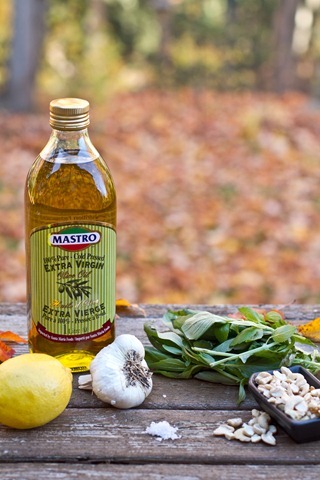 Now whip up the Vegan pesto! 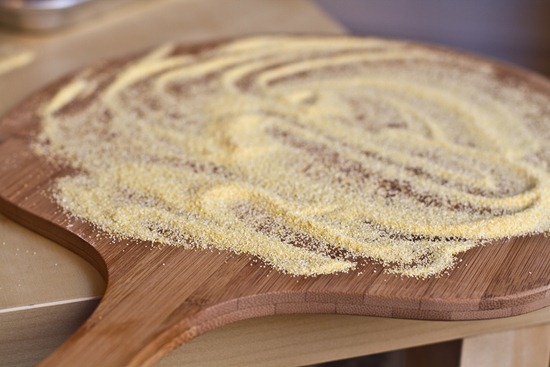 and then the Vegan parmesan cheese. The house smells like a dream right about now. 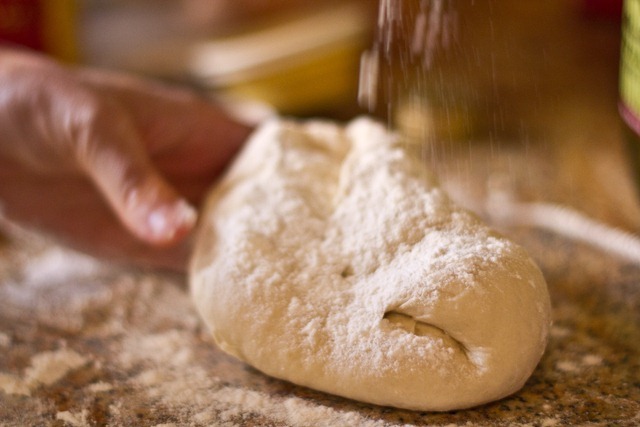 When your dough is ready, punch the air out one final time. The pizza stone won by a landslide! 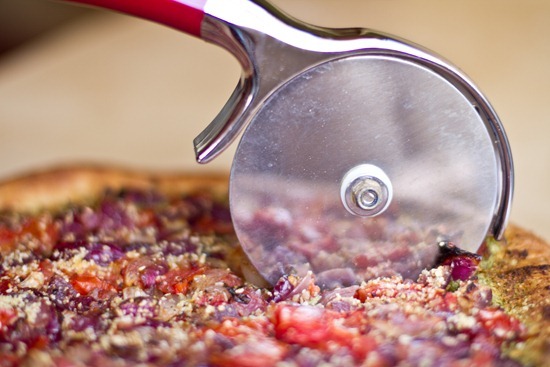 Sprinkle cornmeal over your Pizza Peel to prevent sticking. 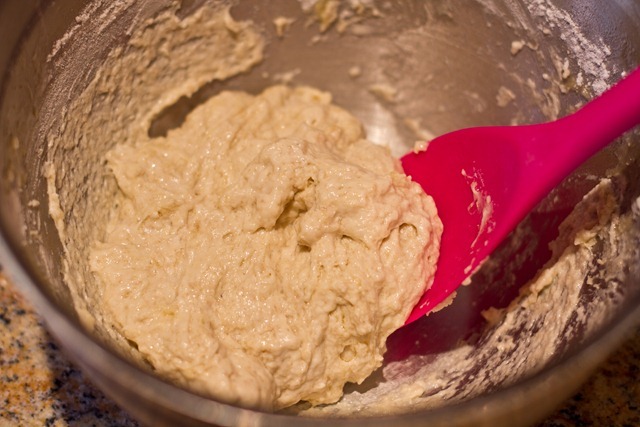 Now for the part that I was terrified of….shaping the dough! I found that the best way to work with the dough was to just let gravity do most of the work. 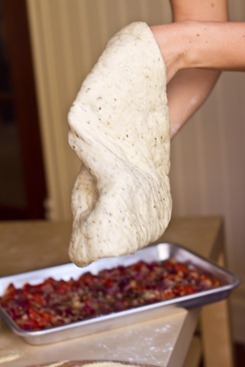 Gently hold and rotate the dough allowing gravity to pull the sides down ever so slightly. When you have something that resembles a circle, place it on your Peel. 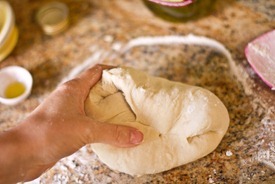 Now pinch the sides to form a crust. 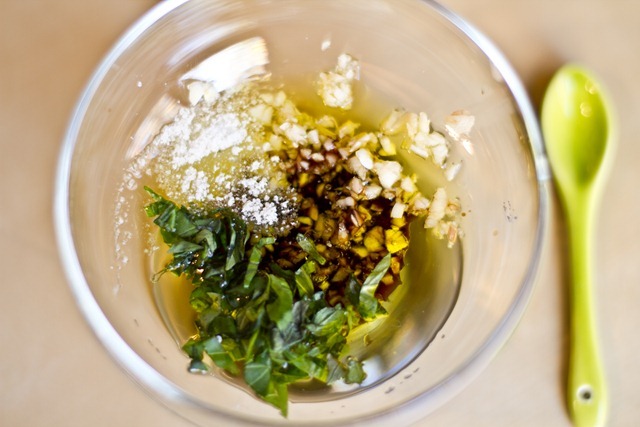 Spread on the sautéed garlic infused oil to keep the crust moist and flavourful. Don’t be shy with the pesto. This is the best part! 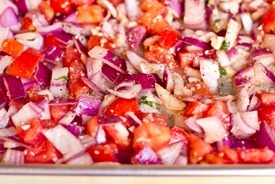 Now spread on the Roasted Onion, Tomato, Garlic, and Basil mixture. and finally, a generous dusting of the vegan Parmesan Cheese to finish it off! Slide the pizza onto your stone which has been pre-heating at 500F for 1 hour. I liked what I saw. A lot. 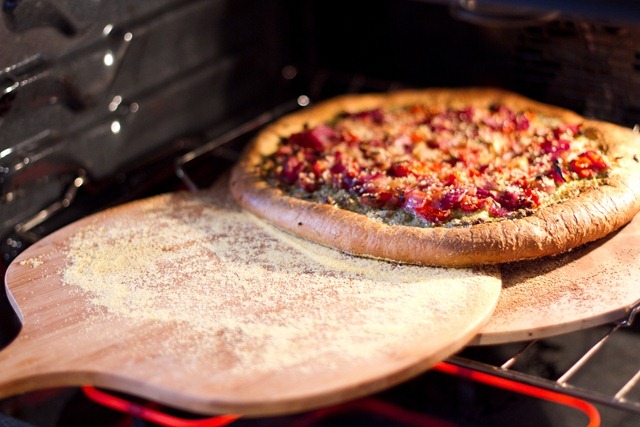 After 15 minutes, your crust will be golden and crisp and your veggies will begin to blacken around the edges. Your husband, who has been installing hardwood flooring all morning, will magically appear at the right moment. He salivates and inhales 3 slices of pizza. 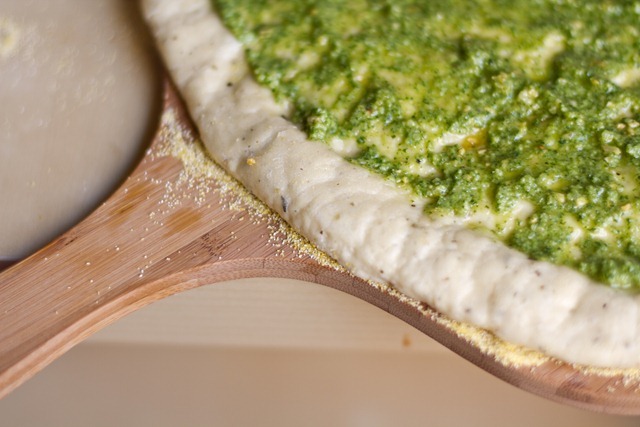 The pesto makes a wonderful dip for the thick, crunchy crust. I tend to get a little carried away at times. 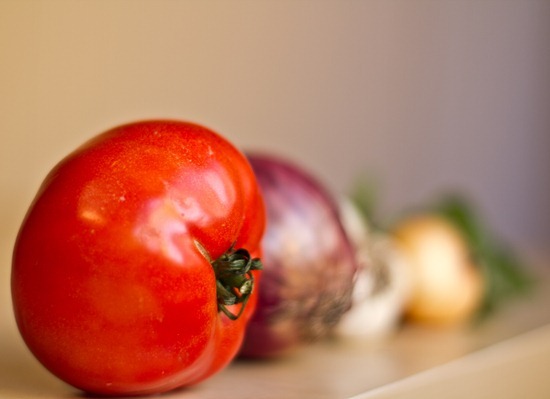 This is my official entry for Project Food Blog Challenge #5. Voting begins at 9am EST on Monday October 18th. If you enjoyed this post I would greatly appreciate your votes in carrying me into the next round! Click here to vote. Thank you! I would love a slice of that pizza, and I’m a huge cheese lover. And fruit pizza? Well that is one of my ALL TIME favorite desserts! They look fabulous Ange! mmmmmmmmmmmmmmmmm………………you got my vote. Again! That is such a joyous looking pizza! I have the same dilemma with pizza…it’s so hard to find good, creative pizza minus cheese. Both pizzas are beautiful! Good luck! Beautiful pies, Angela! High five! This pizza looks delicious! I love to try pizzas with no tomato sauce ;). + Dessert pizza is SO good! My mother used to make an apple & goat cheese one and it was incredible. Congrats on beating your pizza complex! It looks delishhhh! Perfection. I too have gotten the weird looks, the eye roll, the are you SURE? when I order vegan pizza. Bravo for creating one that truly is a work of art!! Fabulous as usual my dear!!! 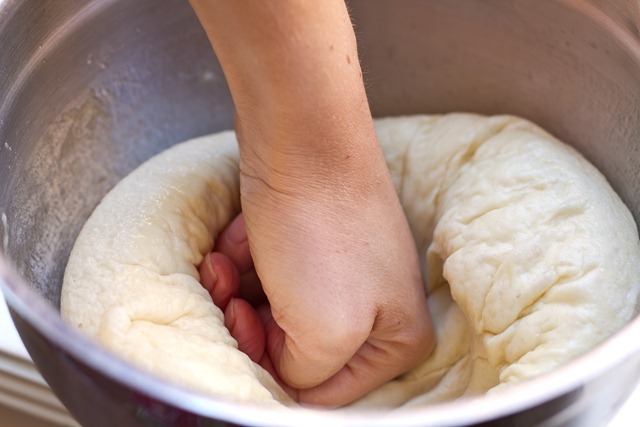 Once you get the dough right ONCE, you’ll never go back!! So pretty! Those colors are beautiful! There’s a reason why you’re reader favorite two times already! BRAVO for overcoming the complex! it looks perfect ! Angela, you rock. God has given you a great gift and that is creating and capturing the art of food. It looks gorgeous and congrats! Words cannot describe…beautiful! Can I reach into my screen please? Angela, I am so proud of you right now. I want to hug you. You have such a gift of art and inspiration. This looks amazing! Love a vegan pizza – and I’ve had the same experience with ordering cheeseless pizza (actually in Spain!) where the chef was so adamant about sprinkling just a bit of cheese – like he couldn’t resist! Ha. I think making a pizza in your own kitchen is a great way to get it just right. Your crust left me salivating! 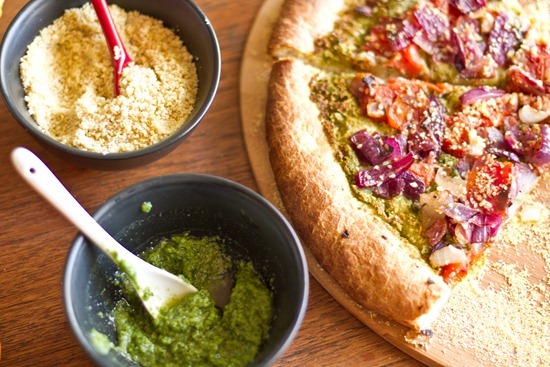 In NZ we have a company called Hell Pizza who actually have Vegan pizza on their menu, and they allow you to mix and match other toppings to your hearts content! 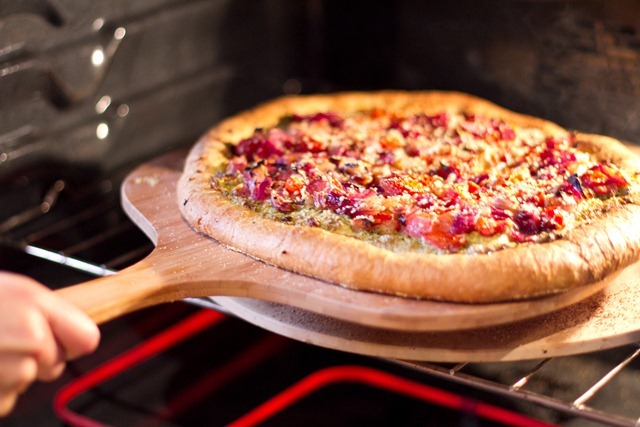 I much prefer homemade pizza, but vegan pizza made how I want it and delivered to my door is sometimes so much more inviting on a Friday night! Creepy man in the bushes made me laugh so much!! 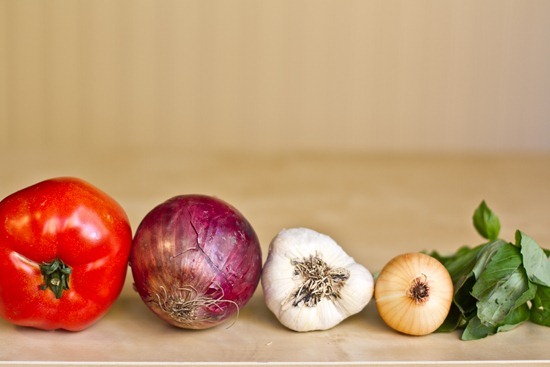 I LOVE THE BRIGHT colors of the veggies! I love that it’s vegan, I love that you used CSA ingredients, and that it was the old fashioned elbow grease that did the trick. And the fruit pizza, just as a causal “aside” that you threw in…woman…you must live in your kitchen and at your computer after it’s all done to upload and blog about it all…beyond impressive! OMG Angela!! I haven’t been following anyone else’s entries, but still, I can say with complete confidence that you deserve to win this whole shebang! 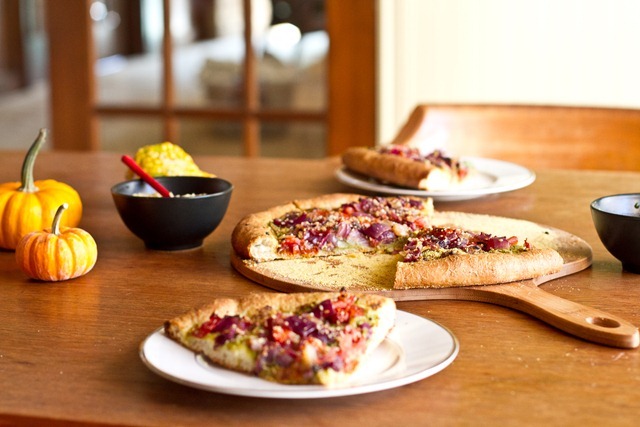 You have me drooling at the pizzas, and I especially loved your fall-inspired dinner – absolutely beautiful! This is what you call quality blogging. Wow!!! Your pictures are incredible and your food looks outstanding! You are so talented:) Placing my vote for you right now! oh my – this looks perfect!!!!!! What a BRILLIANT effort Angela! I have to say, Im a big fan of cheese, (I probably have 7 different kinds in my fridge right now) but I really dont think I would miss it at all on this pizza. Im drooling just thinking about it! I love making fruit pizza! Congrats on a beautiful post! That is hands down the most beautiful pizza I’ve ever seen. I think….. that I may love you. Wow this is beautiful! You can really tell how much hard work you put into it. The fruit pizza at the end was the icing on the cake! I can’t wait til the voting opens so that I can vote for you. Come on everyone, lets try for a third readers choice!!!! 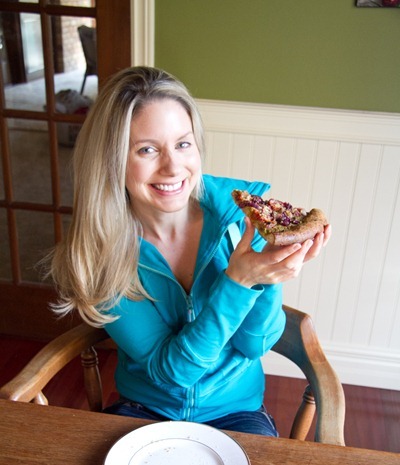 This looks awesome Angela :) Especially the dessert pizza! I was waiting for this post since last night! When I noticed you posted the #5 challenge, I seriously clapped my hands! haha! Great post! Not sure I have commented before, by your pfb posts have all been really amazing. I am not vegan, but I WANT YOUR PIZZA. Beautiful job, as always! Your crust looks better than the crust I buy at Whole Foods! I love pizzas with pesto bases too. Girl! You Rock! I have to try making pizza your way. I have the opposite of pizza complex, as in I make it all the time. And I am truly lucky that I live by a store that not only makes gluten free crusts (for people who can’t tolerate it, unlike me, but I appreciate the option) but they have vegan pizzas with vegan crusts and vegan cheeze. It is my favorite weekend meal. Hello vegan pizza heaven!! It looks gorgeous and amaaazingly good! 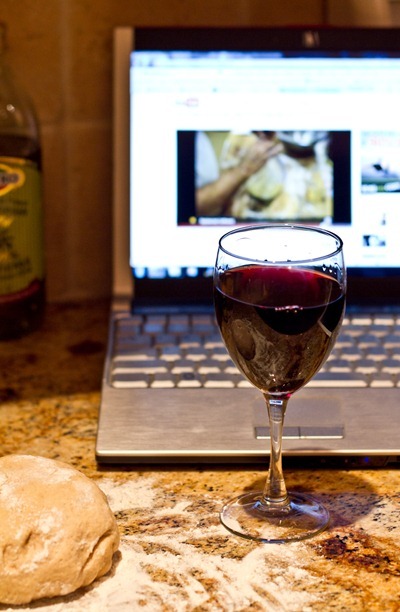 Awesome job, way to persevere (I would have used the wine, too)!! omg angela- this looks absolutely AMAZING. i was so excited to see what you’d make since i’m also vegan and know your frustrations… but you definitely delivered!!!! i. need. to. make. this. asap. 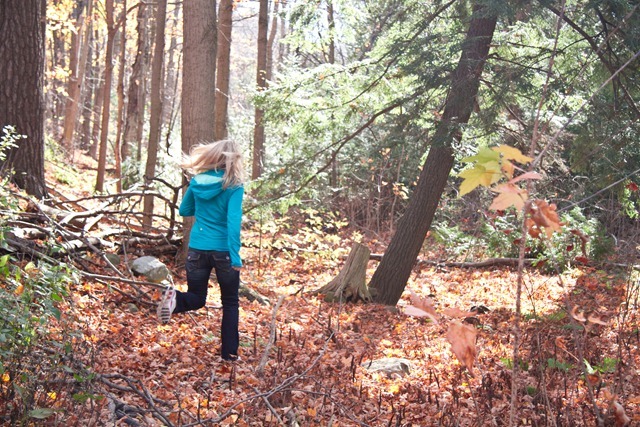 and that picture of you running in the woods is BEAUTIFUL and frame-worthy!!! Seriously, I am in awe of your chef creativity + your photography! Can’t wait to vote for you! Also, I have never heard of vegan parm! What is it made of?? I miss pizza a tad bit… since I am extremely lactose intolerant, I haven’t had a pizza in ages! Your pizza looks amazing! Who needs cheese when food is that good? :) This lactose intolerant girl most certainly does not. FABULOUS!! 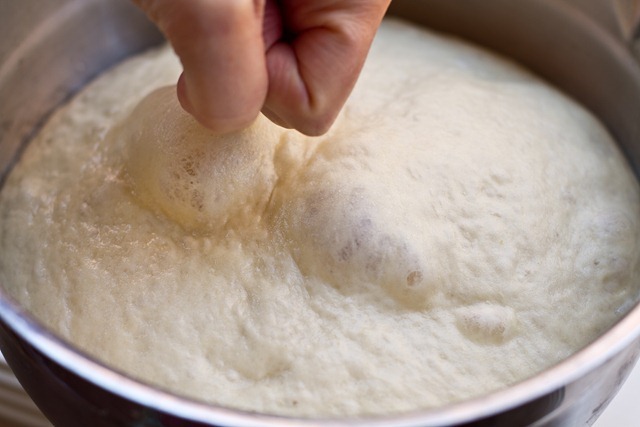 i have only made kraft pizza dough from scratch and now i think i will give it a shot…you explain it so well…thank you…it looks absolutely delicious!!! the fruit pizza looks awesome as well. you have my vote! This looks SO fresh and colorful!! I’m not a huge huge fan of pizza, but I’d gobblie this up in a heart beat- yum!! OMG! That looks insanely delicious. You are so amazing with your patience to create these wonderful, delicious recipes that are vegan but still absolutely wonderful tasting. It is really obvious in your posts that you are doing what you love, and that is so great! Oh my gosh that pizza looks amazing! I am definitly going to make it soon :D You are truly such an amazing cook, Angela. You inspire me every day to create vegan dishes like your own. 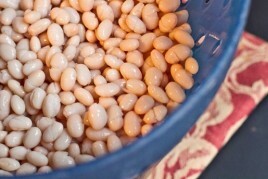 Thanks for sharing this recipe and you have my vote! Oh my goodness Angela!! This looks beyond amazing!!!!! Wow, not only the most beautiful pizza I’ve ever seen, but it looks out of this world delicious! You are too much girl. Good luck!!! Absolutely beautiful! My mom, grandmother, and I love making pizza together, but since I’m vegan, and my mom just cut cheese out of her diet, and my grandmother loves the stuff, pizza making can be a bit hard. However, I think this recipe would satisfy us all. Your pizza looks like a work of art! Yum, your pizza looks delicious! I haven’t yet conquered my own fear of making homemade pizza- and I’m not vegan. Thanks for taking on the challenge-for all our sakes! That looks so good! I agree that working dough is very therapeutic and fun. I love the pics of the process – my favorite one is of all the veggies lined up before going to the chopping block:) So vivid. I can tell by the shots of the dough that you mastered it for sure! Gorgeous pizza and LOL at the crazy man in the woods. Cute and too funny! Vegan or not, this looks like the TASTIEST pizza I’ve ever seen. I have a feeling another readers choice award is coming your way! I would give anything to have your cooking patience! That dessert pizza looks absolutely amazing! Oh my gosh, taste aside, that may be the most BEAUTIFUL pizza I’ve seen in my life. Holy colors! That looks like it was a lot of work, but so worth it. Great job!!! Holy cooking mojo! Ange, you REALLY rocked this one :D I am in awe of you baking skills these days. What a beautifully fluffy pizza dough. … and the toppings you used. WOW! Brian and I ordered pizza for dinner last night… Do you deliver ? ;P HEHE! I need one of those wooden paddles to ‘toss’ my pizza in the oven. I would love to see a demo video of you making the dough! I’m salilvating too! THANK YOU for putting this into a PDF file. It’s been saved to my OSG Recipe File :) You’ll be getting my one and only vote on foodbuzz….of course you are the only one deserving of it. Way to pull through! Any pics of the new floor?! Pics of new floor coming soon once he has the baseboards installed. :) Its coming together! 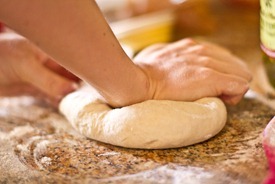 That looks so good, I admire your resolve, I don’t know that I could test five different dough recipes. Any tips for a gluten free crust? 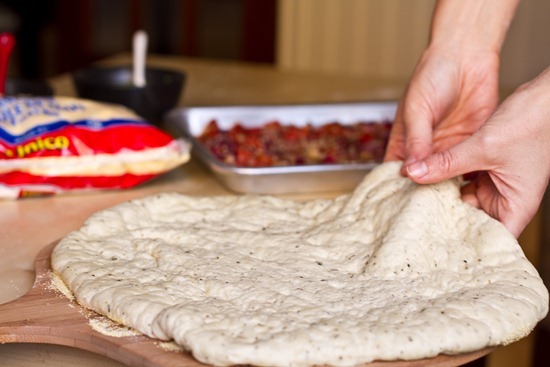 I have tried a number of recipes and I am not happy with any of them and my poor Italian daughter is craving a good dough…I will definitely use the topping recipe, that looks delicious! That looks amazing, you have my vote!!! I probably would have quit after the 2nd dough so congrats! :) Loved all the pics!! You have outdone yourself once again! you are absolutely amazing! that pizza looks soooo yummy! Who says a pizza has to have real cheese on it? This looks fantastic! This pizza has me drooling! 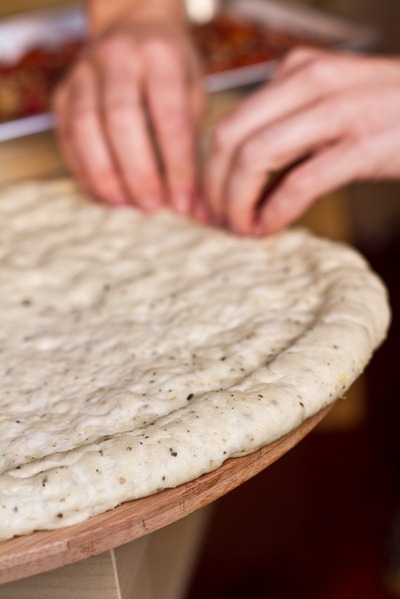 And I agree, there’s nothing better than an authentic pizza, cooked on a stone. 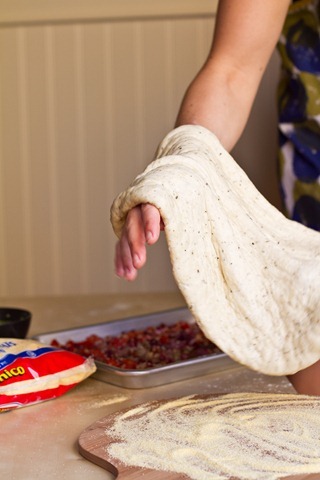 Haha, looks like after your little struggle with the pizza dough, you definitely won! 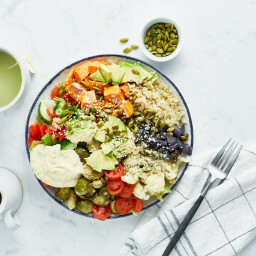 And that looks amazing – cheeseless or not!!! I am so glad you succeeded in this because it looks amazing – the colors of this pizza are incredible!! Brilliant! The pizza looks delicious…yay! You’ve done it again! Looks so tasty I could jump through screen. Cheese? Who needs cheese? Angela… No matter what anyone else posts, talks about, presents, cooks or shows how its done, YOU WIN hands down. Your the best, your blogs have so much heart, soul & passion. No one can top you … No joke!!! :) That pizza looks absolutely devine!!!!! That is so beautiful, you kill me! I want some! I love the colors of the veggies. 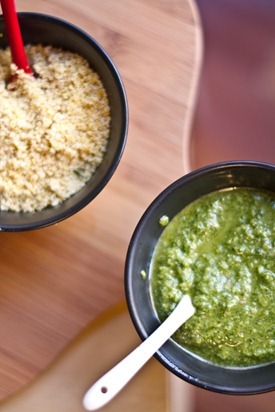 I think pesto is a great idea for those scared of mock-cheese. Plus it’s more from-scratch. Well done. I feel like reading this post was like falling into a fabulous novel…I got lost in the photos and the narration! Excellent! Oh my goodness that pizza looks amazing! I love the story too. You’re such a good writer! I enjoy every one of your posts. Gosh, that pizza looks off the hook! Bummer you had to work so hard on the dough- but I’m sure it’ll pay off in the end! Congratulations on Readers Choice AGAIN!! While I loooove your old-fashioned pizza with cheese, that looks fabulous!!! I’d definitely give it a shot! 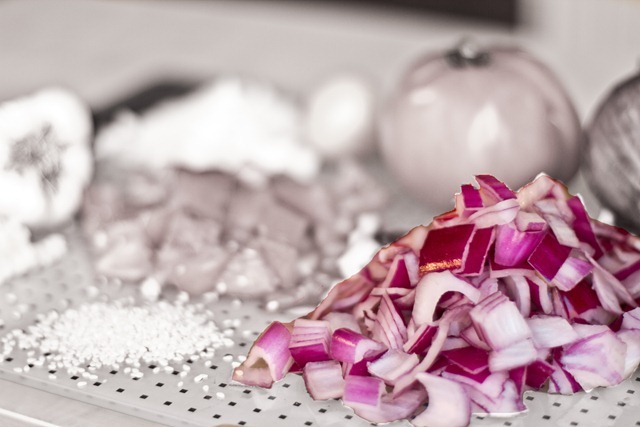 I really admire your patience in the kitchen – that is how true masterpieces are created! 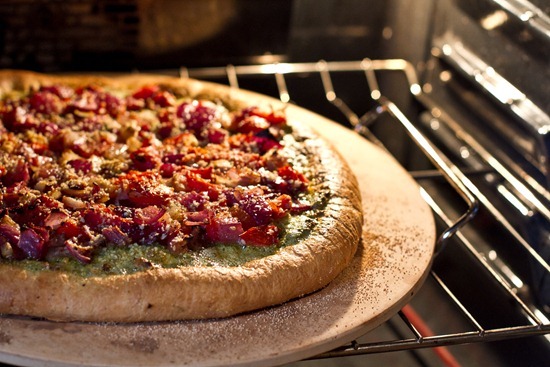 The pizza looks awesome, just looking at it you would never know that it is a vegan pizza. Good Luck. I was in a restaurant the other day and they had a dessert pizza, which had chocolate, strawberries, drizzed with chocolate sauce and served with ice cream or cream. That pizza looks pretty dang incredible and I’m not a vegan! Nice job and cute post to go along with it! Love the creepy man in the bushes. He he! These photos are so beautiful!! I love the way you ended the post with the single photo of the dessert pizza– I hope you do a post on it later on! 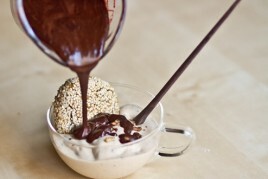 You are adorable.. i’m gonna make this tonight! BTW what if.. just what if that fruit pizza had some of your chocolate ganache on it? Oh goodness. Awesome job Angela! And for me and I’m sure the majority of your readers, vegan pizza is WAAAYYYY more worthy than pepperoni and cheese pizza! The pizza looks amazing! Good luck! I love both pizza’s they are so pretty and tasty looking. You have inspired me to make some vegan pizza! Great post! I’m sure you will win this one,for sure!! As always, this looks amazing!! You are in it to win it! This is amazing! Your posts are always the best, you’re so talented. those are the two most beautiful pizzas i have ever seen girl! 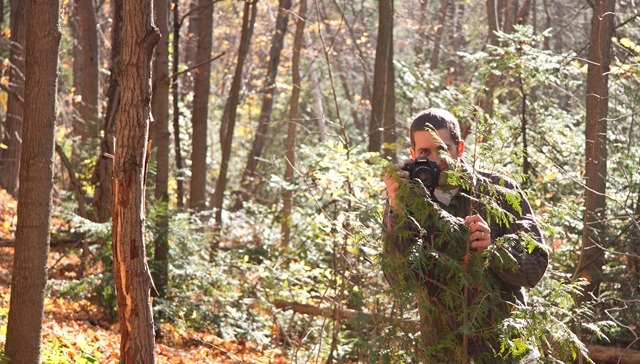 your amazing, lovee the photography too! Angela, you are so inspiring! You put so much hard work, love, and energy into everything you do. Both pizzas look beyond magnificent. You so deserve to win this! That looks awesome! And by THAT i mean BOTH pizza look AMAZING! Bravo! 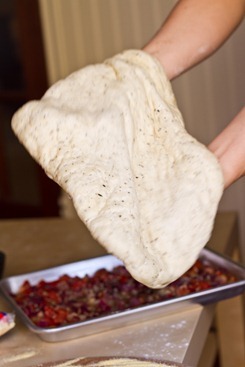 I love homemade pizza… I have an amazing pizza dough that I make in the bread machine, I’ve been thinking about dabbling in flavored pizza dough, like with sun dried tomato or basil. I think I may just give it a whirl now. THIS looks AMAZING! Well done Ang! Yum! You’re already a winner to me! That looks like the healthiest pizza I have ever seen. Great job!! 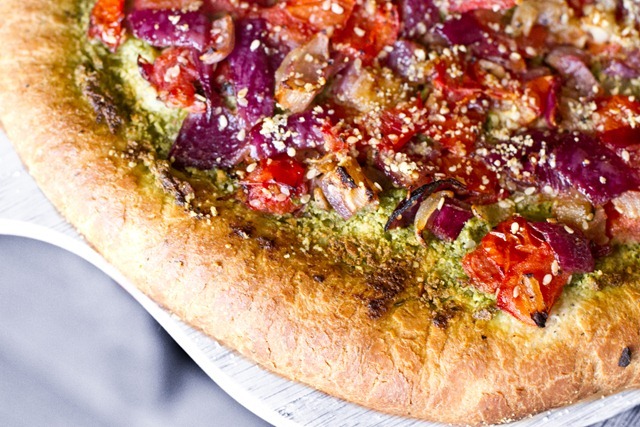 I always thought pizza needed cheese until I tried Amy’s brand roasted vegetable pizza. 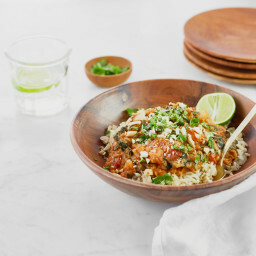 That caramelized onion sauce makes you completely forget there is absolutely no cheese! Now that I have to go gluten-free, I’m not really doing the pizza thing. 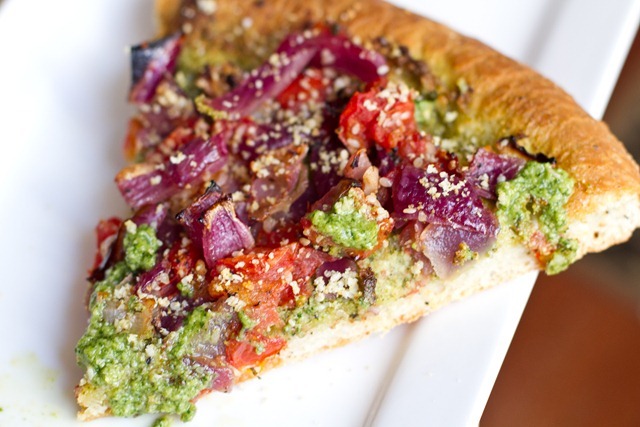 I tried the Amy’s brand rice crust roasted vegetable pizza, but I just didn’t like it! The sauce and toppings were still great, but I miss everything that makes a good pizza. 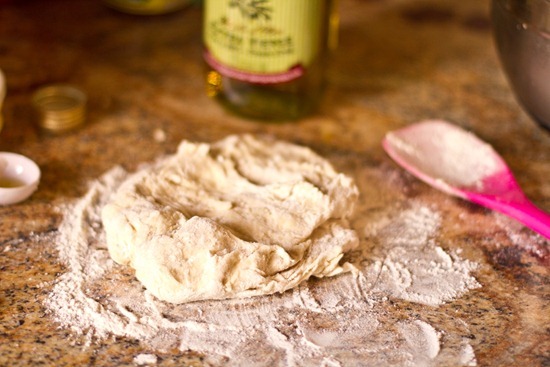 A soft, chewy crust! You def. gey my vote! Great job! Who needs cheese with colors like those on your pizza! It looks fantastic! gorgeous!! awesome job, once again Angela! 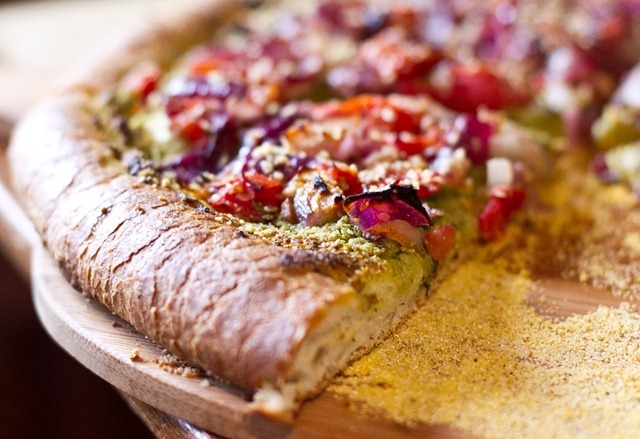 Beautiful photos, delicious-looking vegan pizza! … you have my vote! Great job with the dough! I voted for you again, best of luck! I love this. That pizza looks ah-mazing! Must try it!! I love your site! Awesome recipes and absolutely gorgeous photos. My story is similar to yours and I’m just trying to figure out how to get my glow back – thank you so much for the inspiration. I’m glad to know it is possible! Wow! I am impressed. Your pizza looks like a work of art :O) Beautiful. Thanks for doing all the hard work! Now I know I can make a good pizza dough. Can’t wait to get started on that. So 2 weeks ago I just happened upon your site while searching for a oatmeal raisin cookie recipe. Needless to say I am now in love with your site!! 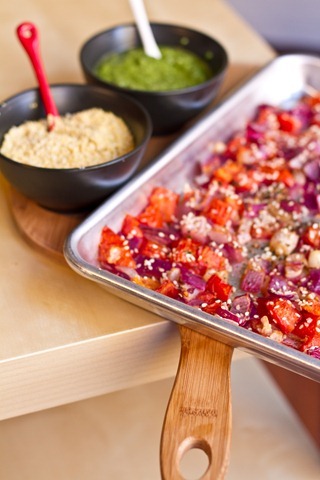 Your recipes are great and I have shared several dishes with family and friends already. Made this pizza today! I used a whole wheat/spelt mixture for the crust. It was delicious! My 2 year old ate it up, although I did make him a slice with soy cheese (for some reason the only veggie he likes on pizza is artichoke hearts). Thanks for all the work, trial and error you do! :) Will definitely be voting for you!! Thanks for your encouraging words and for your vote! I voted!! This is beautiful!! I also made the dough and the cheese!!!!!!!!!! :) I just didn’t have the stuff for the pesto!!! It was soooooo tasty!! thanks so much for it!! Both of those pizzas look incredibly good. Very cute and well done all around!!! I see why you’re a favorite. Another vote here. Good luck. 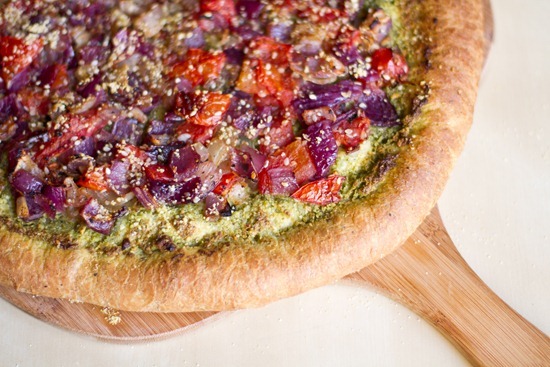 The vegan pizza looks wonderful – I’m can’t imagine how you can go wrong with caramelized/roasted onions & pesto. Beautiful photography! 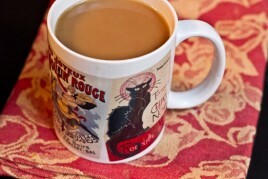 PS: I voted for you on foodbuzz! This was so brilliant to read, Angela. Good luck! You deserve to get really far. To win! I just loved seeing the pizza process, and how hard you tried to get it just right! 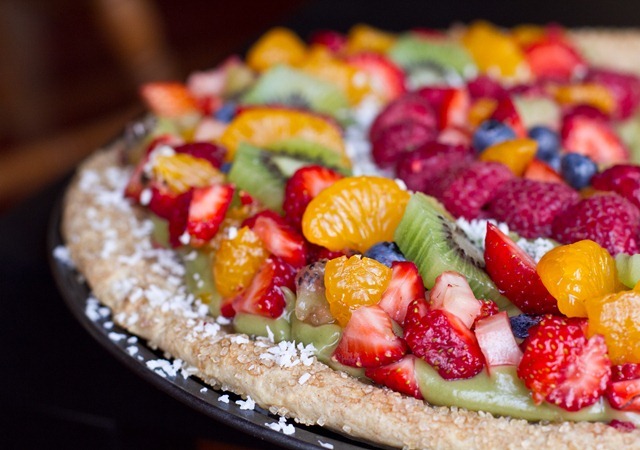 That last picture of the fruit pizza – incredible! The photos in this post are just beautiful! That pizza is drop-dead gorgeous. I swear, you take the best pictures of any blog I read. Absolutely gorgeous. 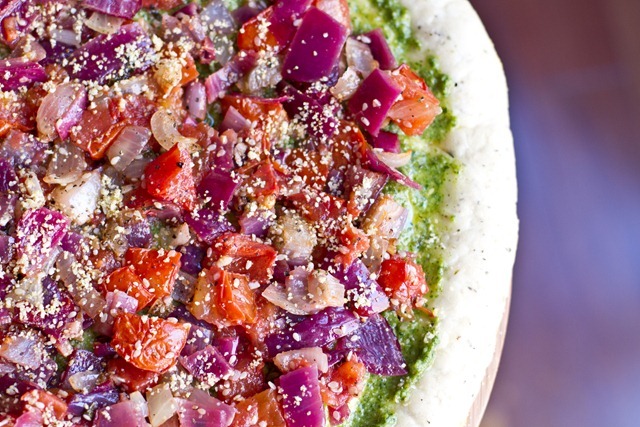 Really colorful pizzas…that’s always a plus! Good luck. What a crust! What a topping! You’ve got this cheese lover’s vote. Angela – Great work again. Way to go! Eric told me he had this FANTASTIC pizza for dinner , which left me so looking forward to seeing your post. Only dissapointmnet – you didn’t save a slice for me. Congradulations on Readers Choice – again…. Best of luck in this round and hope to see you in the next one. 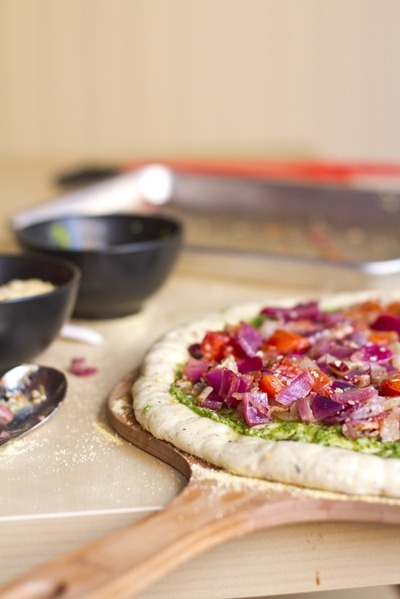 I think you nailed it… both pizzas look amazing! I’m definitely a cheese lover, but I’d be pleased as punch with your version of pizza! You have a vote from me! For my entry, I made pizza for all the wrong times of day: some Deep Dish Pizza Cupfakes and Pizzas Benedict :) Come see if you’d like! Now that’s a pizza. 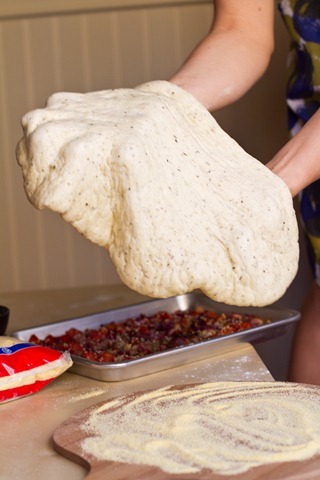 That dough just looks amazing! Just made this pizza for supper and it was worth every minute in the kitchen…DELICIOUS!! THANK YOU for sharing! I can’t stop drooling! I’m making this pizza this weekend! You are the best. Just made this pizza for our families Friday Night Pizza and Movie Night. I can’t get over the crust! 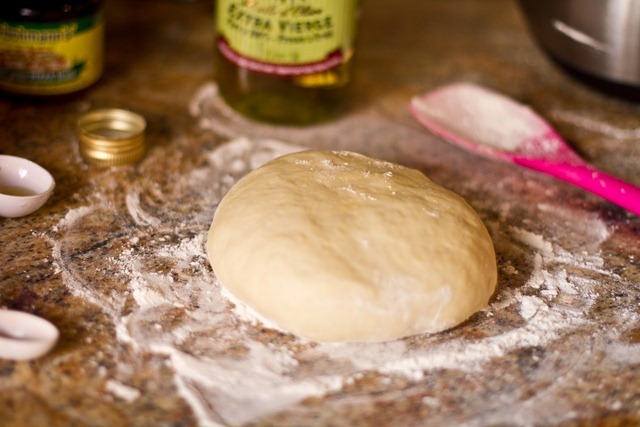 I thought I had a perfect dough recipe already, but this is way better! I love the chewy/crispy outside! 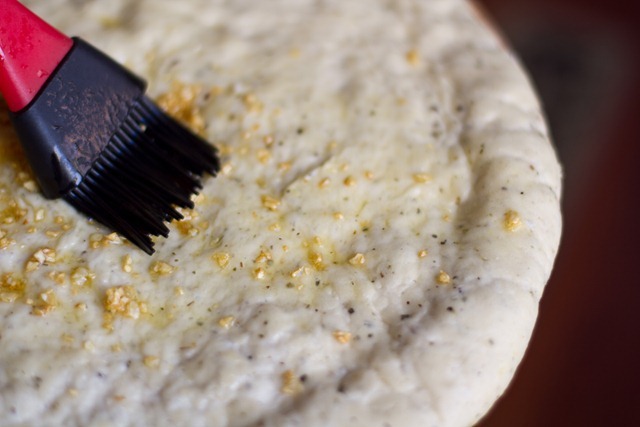 My son said that this was his favorite crust ever and we need to use it always. He also said that we should make it into flatbread without any toppings or anything. And the toppings were all fab! Can’t wait to experiment with other veggies! This is our new go to pizza! thanks again and I am sooo happy that you are advancing so well! Can’t wait for the video! We had some pesto and roasted veggies leftover and mixed them into some pasta tonight (along with the Parmesan and crushed red pepper). Best pasta that I’ve had in a looong time! I am not a huge fan of pasta normally but I had a hard time stopping at one bowl!! Thanks for TWO awesome meals! This recipe looks AMAZING!! Thinking of trying it out for my mom’s bday…just wondering if you think whole wheat flour would work ok??? and some extra veggies like avocado and zucchini? 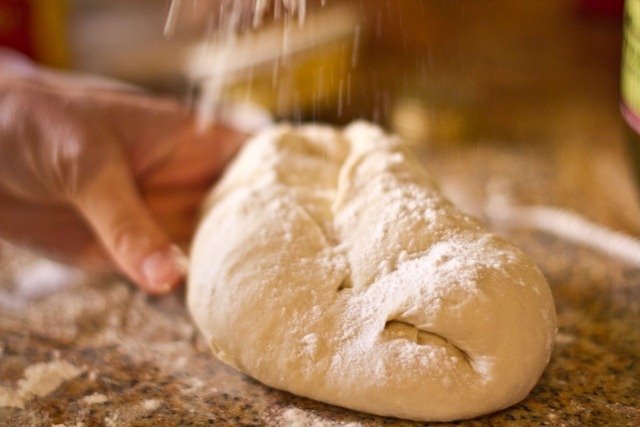 You could probably get away with subbing 50% of the flour for whole wheat. Im not sure if 100% would make it too tough. Enjoy! First of all: Angela, I made your pizza today and it was fabulous! Thank you so much for all your recipes. This one and the Roasted Tomato Pesto are definitely on my Top 10 list already and I’m sure there are more to come =) Thanks! 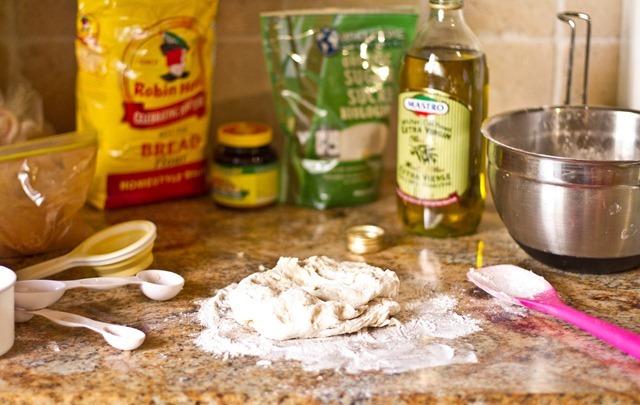 You brighten up my days each time I see you posted a new recipe and I love rummaging through your old ones! Beautiful pizza and beautiful photography! I have never made a successful pizza, even before becoming a vegan. I made this and it was AWESOME! Thank you for the recipe. As always, I love your site. I was looking for a new kind of pizza dough and stumbled across this, and it is so much tastier than the boring standby I was using before, and a lot easier to manipulate! Thanks for sharing!!! BTW, do you happen to know the calorie content for this crust, or a rough estimate? Mixed the following ingredients. Then putting parchment paper on a pizza pan. 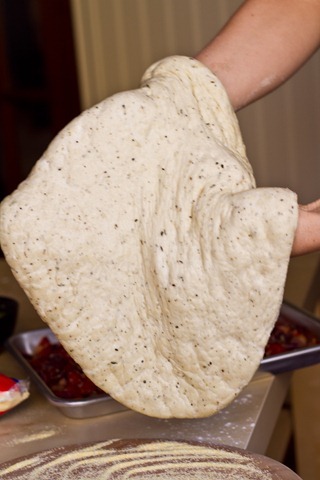 Spray parchment with EVOO & sprinkle generously with vegan parm cheese. then lay out cauliflower/almond cheese mixture & flatten into pan. Bake until firm. (Sorry I also don’t time my cooking…need to work on that). It was good enough for a carnivore to love! 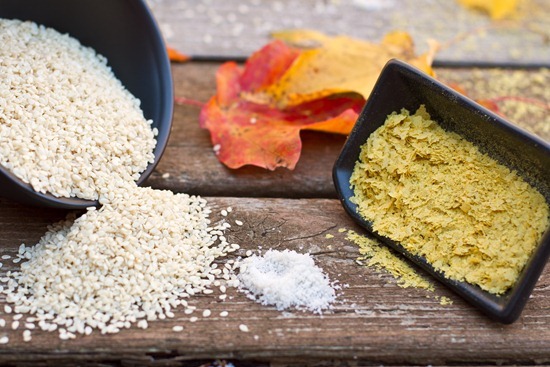 Hey Angela- Do you think I could use All Purpose Gluten Free flour instead of regular? Hi Amber, Im sorry Im not sure! I haven’t tried GF flour in any of my crusts before. I would try googling about it to see if you can find some recipes that have been tested this way. goodluck! I went vegan a few months ago and don’t think I would have wanted to stick with it if I hadn’t found your website. I feel GREAT now, so much better than before going vegan…your recipes probably do make me glow. ;) Thanks again for all the wonderful things you share with us. I can’t wait for your book! Very helpful and fun blog! Did you ever try making this pizza without oil? We try to avoid all oils, yes even olive oil, as they damage endothelial cells which can lead to heart attacks nd strokes (refer to Drs. Caldwell Esselstyn, John A McDougall, Neil Barnard, and Joel Fuhrman). 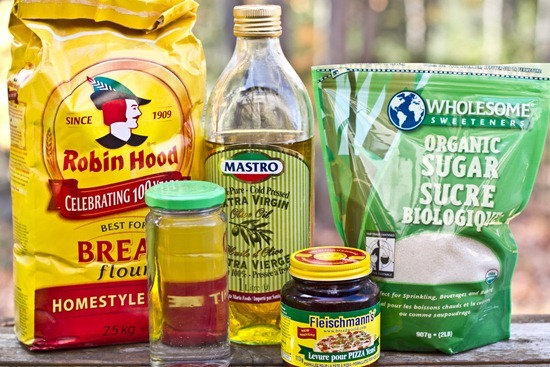 For baking, I normally substitute oil for organic unsweetened applesauce. Would love to see your recipe for an oil-free vegan pizza if you have one. Thanks for all your work in the kitchen. You are a true culinary artist! 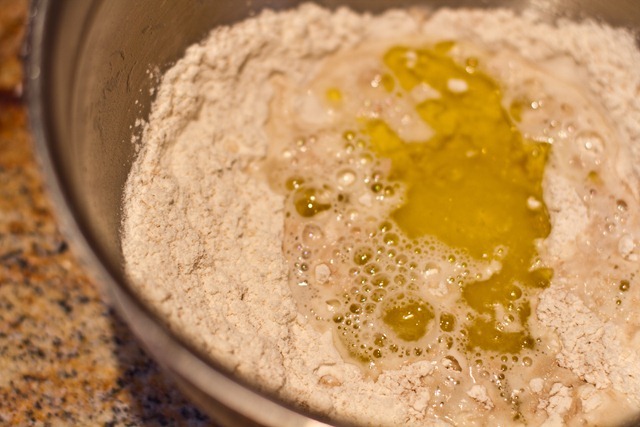 DO you have the dough and pesto recipe or a link to them? Loved the blog post and this pizza is mouthwatering to look at – making this weekend!! First question: Can I use whole grain bread flour? Second : I do not eat processed or what is it called again (?) refined sugar. 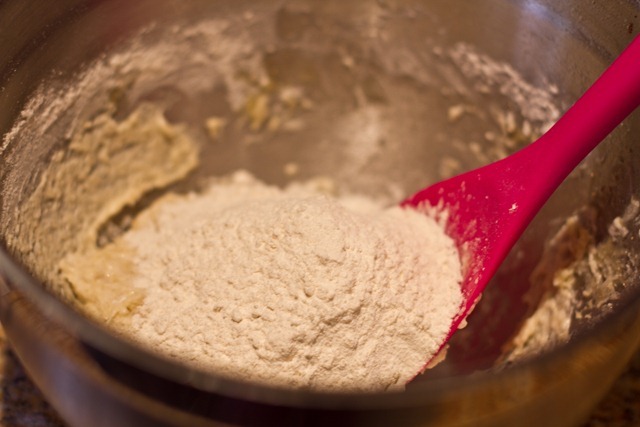 Is the white sugar essential for the dough? Last question: I was wondering if the recipe for vegan parmesan is really enough to make the pesto with and have leftovers to sprinkle on top? I hope you can help me. 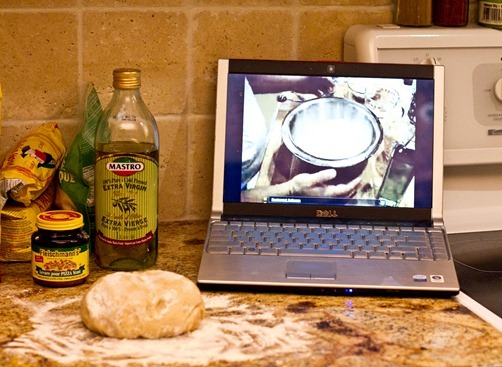 I know this recipe is a bit older ;-). 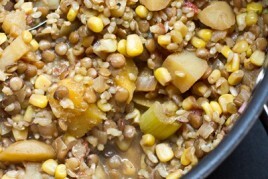 I’ve been slowly switching my family to vegetarians and you’re blog has helped me get some new ideas and recipes. Thank you for so many great recipes! I made your vegan pesto last night for pizza and it was DELICIOUS! My husband loved it and had no idea it wasn’t a traditional pesto. My 2 1/2 year old daughter loved it so much she was using the left over as dip this morning for her snack. I’m so happy with all your recipes I purchased a copy go your book. Thank you so much for all the time you put into creating awesome real food and sharing it with others. Hello! I LOVE everything you produce and post! Thank you SO much! 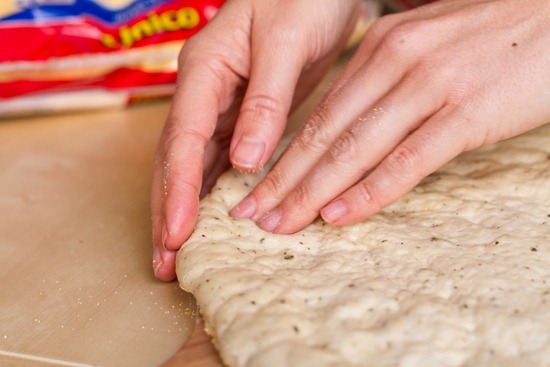 I do have a quick question, is this pizza recipe gluten free? I love this. That pizza looks amazing! Must try it! It looks perfect ! i love this. and i love everything you psot. 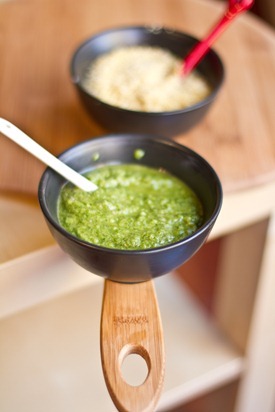 thanks for sharing .do you have pesto recipe ?